“Blank And Secure” is a portable tool to securely delete the data. Secure delete files are required to block the recovering of deleted data. Secure deletion is possible with this program, because “Blank And Secure” overwrites the data with zeros before deleting. A portable tool to securely delete the data! 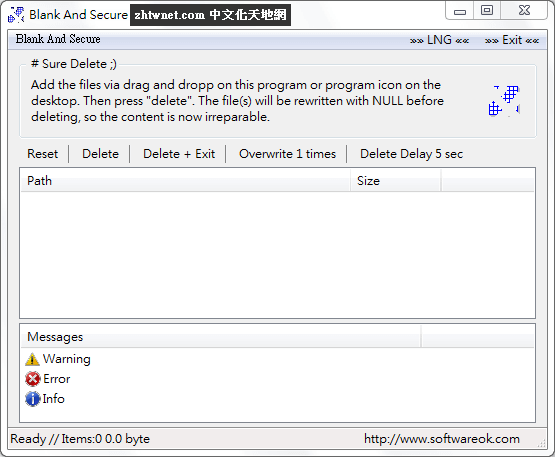 Secure delete files are required to block the recovering of deleted data. Secure deletion !